Today’s Kit House Of The Week, located in Chevy Chase, DC, is a 1925 Sears “Honor Bilt” model with a very distinctive and unusual shape–the “Maywood.” It’s listed by TTR/Sotheby’s for $899,000. What’s so special about it is that it retains much of the original…everything. 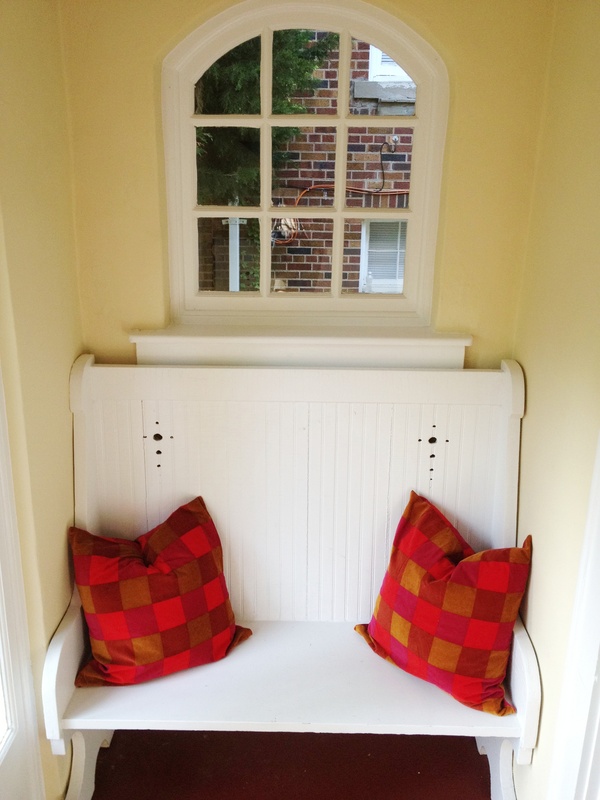 There are those beautiful casement windows on the first floor, the siding, fireplace, hardware, the two original porch benches just as they looked in the Sears mail-order catalog. 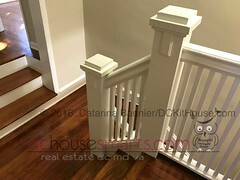 (You can see the Realtor’s virtual tour here.) None of the modifications seem destructive, either. The large porch off the dining and living room was finished and turned into a den — we have seen this in a couple of other area “Maywoods” as well. 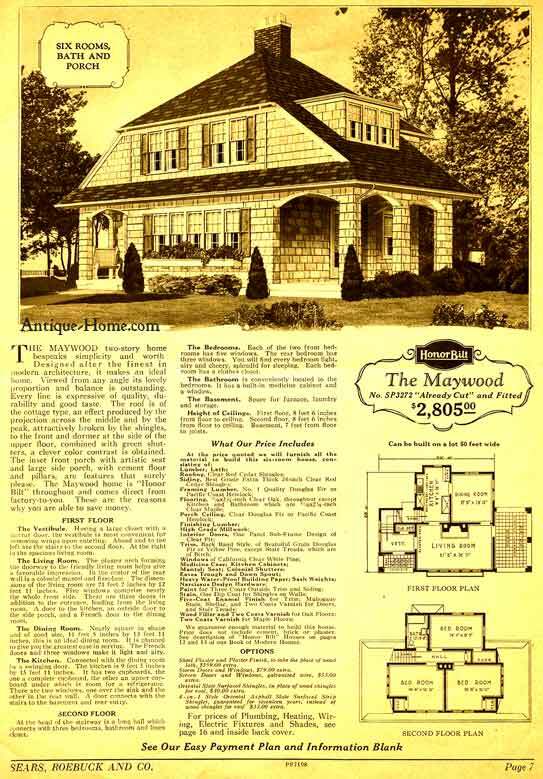 The “Maywood” was not the largest or most luxurious model Sears offered, but certainly more elaborate than others and, in its “cottage” style, out of the ordinary. Both the winged floor plan and the hipped roof that continues its lines through the second floor add some neat architectural interest. 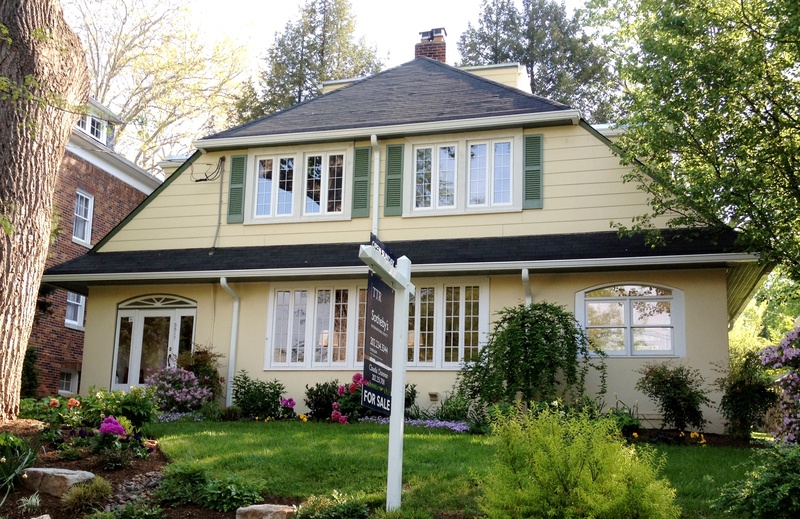 Update 4/21/2012: the “Maywood” went under contract in 5 days–let’s hope the new owners will put just as much effort in preserving its charm! Hi. I have a bungalow in Mt. Airy, MD. It was built in 1934 . My neighbor calls it a “kit house”. Do you know of someone in the “authentication” business in this area? Hi Lee, thanks for visiting! Can’t think of anyone right now that would be closer to you, but will certainly pass the question on to other kit house aficionados. To get you started, do you have any pictures you could email? 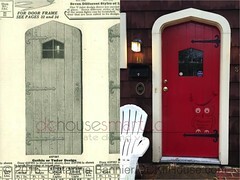 Of the outside of the house and/or anything inside (trim, fireplace, cabinets) that seems original? Are there any parts of the house unfinished (basement, attic, etc.) that could be searched for clues, such as labels, stamps or other markings? Any detail will be helpful. Pingback: DC House Smarts » Sold in Five Days — How Much Is The Historic Sentiment Worth? Hi! This house is beautiful! My husband and I have found a Maywood and are contemplating putting an offer in on it. We are really having a hard time deciding where our living room furniture would go including our tv with the set up of the fireplace. The virtual tour is unavailable, but I would be ecstatic to see what the inside of this one looks like if at all possible!! This could majorly help make our decision. Thanks so much!